When your opponent is back in the court behind the baseline, the best thing you can do with the ball is to keep it deep. Since all points start with at least one opponent back you will always have a chance to keep them back and prevent them from establishing a wall at the net. This is why it is extremely important to be able to hit deep serves and deep returns on demand. 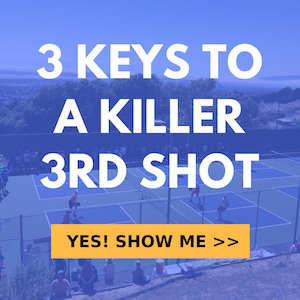 This is how you can train your deep serves and returns.